Click here for more resources to protect your organization. 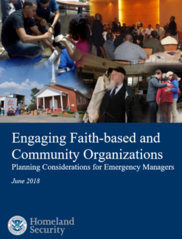 DHS Center and FEMA National Integration Center released the guide, “Engaging Faith-based and Community Organizations: Planning Considerations for Emergency Managers”, on June 14, 2018. 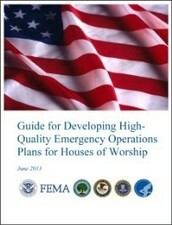 This guide provides a methodology for emergency managers to engage with faith-based and community organizations in enhancing the resiliency of our nation. 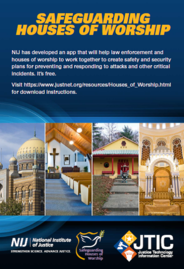 This was developed through input from State, Local Tribal and Territorial emergency managers, faith-based, community and National VOAD stakeholders. Life-threatening emergencies can happen fast. Emergency responders aren’t always nearby. You may be able to save a life by taking simple actions immediately. You Are the Help Until Help Arrives. Learn how you can help by taking time for yourself or by teaching your community life saving skills until help arrives. 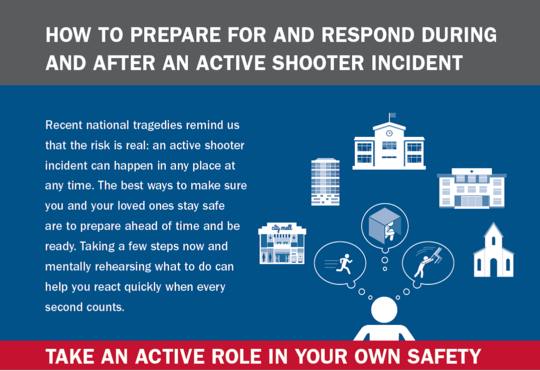 This self-paced online course provides leading practices and resources to assist elementary and secondary schools, institutions of higher education, and houses of worship in developing emergency plans for preparing for, responding to, and recovering from mass casualty incidents. To take the course today click here. The DHS Center for Faith and Opportunity Initiatives was created in 2006 by an executive order to help emergency managers effectively engage with faith and community-based groups. The DHS Center carries out the policies and program priorities of the White House Office of Faith and Opportunity Initiative, the Department of Homeland Security (DHS), and the Federal Emergency Management Agency (FEMA).